In case you aren’t already leaping with excitement, we have terrific news for you! It’s officially spring 2019 and yes, even here in Michigan we are experiencing its benefits. Though the old adage does say April showers bring May flowers, we sure do hope a burst of sunny weather makes its spring debut this month. At any rate, we’re thrilled to be slowly coming out of our winter wonderland and into the world of fresh flowers and new growth. Speaking of new, we are excited to kick off this season with some of the hottest trends in interior design right now. 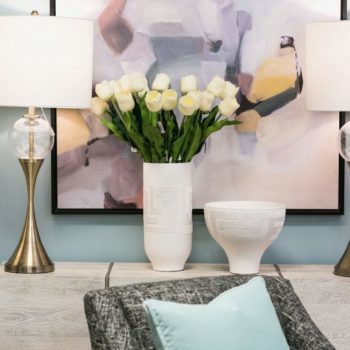 This season we’re all about highlighting the top spring decor trends of 2019 and showing you how each trend can translate into your own home. Let’s get trending! Spring 2019 is all about incorporating fresh textures into your decor. From faux fur to chenille and corduroy, if you have fun playing with textures this season you will be right on trend. Mixing patterns might seem a little daunting but this season, combining patterns is definitely a hot trend for spring 2019. From throw pillows to textured rugs to blankets and tapestries, artfully mixing patterns will add depth and dimension to any space. You don’t have to be ultra-modern to share the affections of soft metals this season. 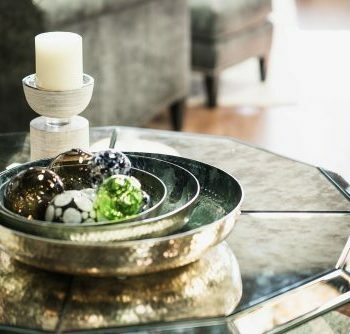 Metallic accents are definitely among the ranks in this season’s spring decor trends. As lovers of neutral decor we are particularly fond of this spring decor trend. Decorating with various shades of white will be something you see more and more of this season. Afraid of using white in your own home? Not to worry! Incorporating shades of white into your design couldn’t be easier–just find a few gorgeous accent pieces and let their creamy, sleek designs do the talking. This spring we’ll be seeing a lot of circular and curved pieces in home decor. This spring decor trend is easy to incorporate, classy, and chic. From rounded edges and curved furniture to decorative curved pieces, you can have fun decorating with circles and curves. This season we’ll be seeing a mix of modern and classic decor that’s perfectly blended into one look or piece. The best part about this trend is that we get the best of both worlds: a taste of classic design that’s always in style and a taste of modern trends that are fun and exciting. 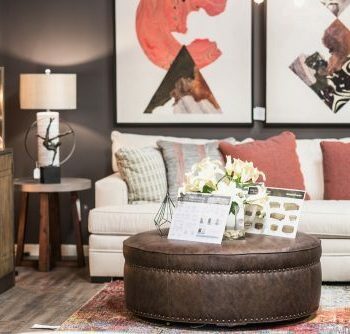 At Home Interior Warehouse, we are your neutral decor headquarters here in Southeast Michigan. 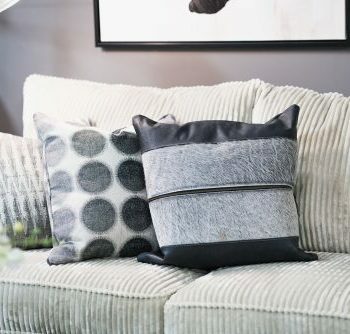 Our passion for neutral decor goes far beyond seasonal decor but we are pleased as punch to see neutrals with pop as one of spring’s hottest decor trends. You’ll never go wrong decorating with neutrals and you can definitely add artistic flair with fun pops of color and unique accents. Textured ceramics and playful geometric pieces are a huge hit this spring season. There couldn’t be an easier way to incorporate a spring decor trend into your own home. 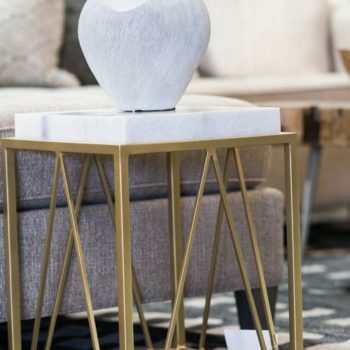 When you’re out shopping for that perfect piece, be sure to look for geometric pieces with interesting textures like the vases shown above! 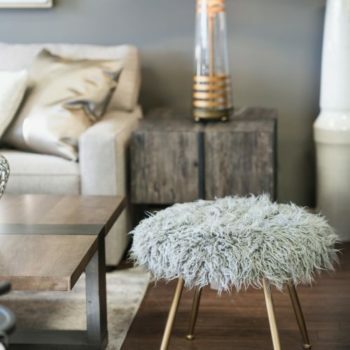 Functional elegance is a spring decor trend that incorporates the luxurious feel of glamorous decor and sophisticated details with functional practicality. Perfectly combining function and elegance will look like incorporating pieces that are both artistic and usable, interesting and practical. At Home Interior Warehouse, there’s always something new. 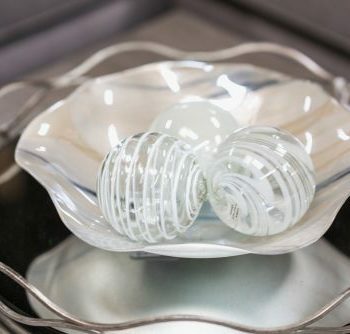 We strive to bring you only the most beautiful and unique pieces. 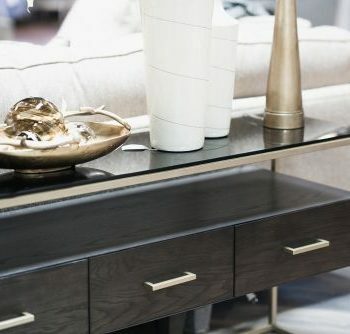 As one of Southeast Michigan’s premier furniture and home decor stores, we pride ourselves in offering quality pieces that bring the “wow” factor. Are you inspired to get decorating? We’d love to help! Our interior designers want you to have it all. Get in touch with our professional interior design team to see how we can make your decorating dreams and design needs a reality! Our online store shows you just some of the many pieces we have to offer. Be sure to visit our showrooms to see our entire product line. For more design tips and showroom updates follow us on Facebook and Instagram to see what’s in store.